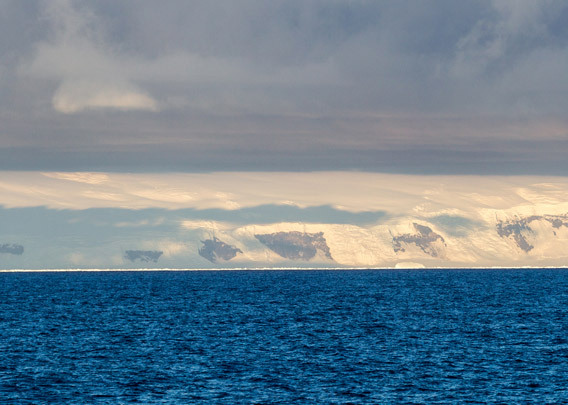 Coulman Island is situated near the coast of Daniell Peninsula, which is a part of Victoria Land, on the west side of the Ross Sea at 73°30′ S/169°45′E. The island is a complex of several shield volcanoes, including at least one caldera, but all mostly glacier-covered. There are several Emperor penguin colonies in the area. 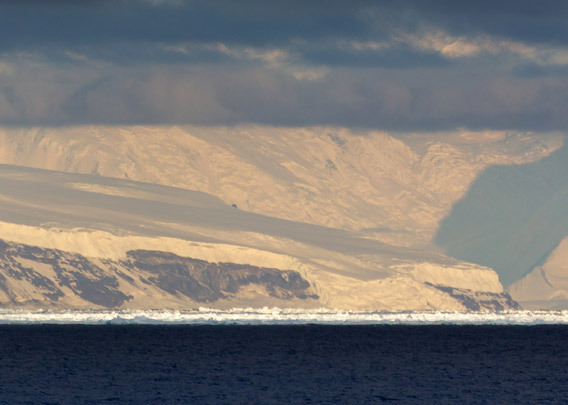 Coulman Island is known since it was discovered on January 17, 1841, by James Clark Ross, who named it after his father in law. Later, on January 15, 1902, Robert F. Scott landed at Cape Wadworth on the northern tip of the island and left a message. 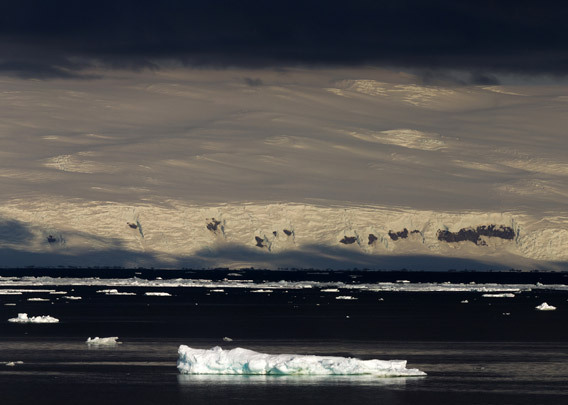 Coulman Island is separated from the antarctic coast, the Transantarctic Mountains, by Glacier Strait. 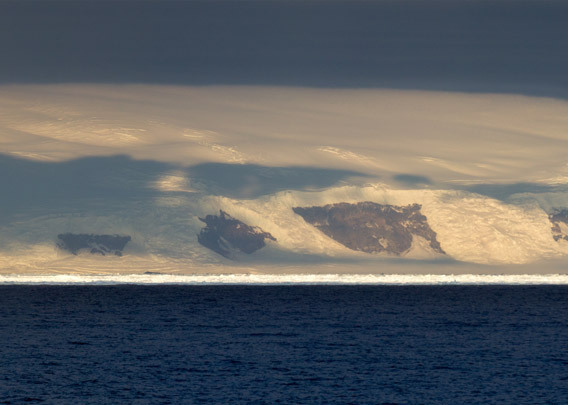 These three panoramas show the coast of the Antarctic continent (Victoria Land) near Coulman Island. No 360° panorama, only works with the Flash Player on mobile devices, for example, with the → Puffin-Browser. Kein 360°-Panorama, funktioniert nur mit dem Flash-Player, auf mobilen Geräten zum Beispiel mit dem → Puffin-Browser.